Never has it, or will it ever be, associated with fine Cabernet Sauvignon that would make the harshest of critics shed a tear in joy, Merlot that sings of silk in a glass or Pinot Grigio thats fresher than a family size pack of Polo mints. In fact, when it comes to the noble wine fruit (outside of a valiant effort on the West Midlands/Shropshire border), we're more famous for gravel and grime, than grapes and greatness. However, there is one thing in drinks that has made the rest of the country sit up and take notice. Our pursuit of beer based brilliance is nothing short of great and, along the way, we here in the deepest depths of the Midlands have made some fine tipples for you to get your cracked and dry mouths around, freshening even the most honed of ale-laced palates. I know I may be a bit biased (a swift exit from my parents' last will & testament would be the desired punishment if I insulted my place of birth), but there is so much to discover in the Midlands when it comes to barley, malt, hops and yeast. In a series of intermittent homages to my home county, I'm going to focus on some of our more interesting and famed breweries, which I have drank by the barrel load, but yet still playing catch up to my 'old man' in volume terms! 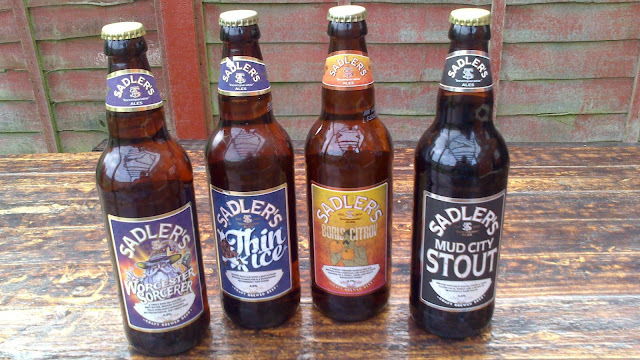 My focus for this one is Sadlers Ales, a brewery based in a small suburb of the Black Country called Lye in Stourbridge. Originally famed for its glass production & pop bands (The Wonder Stuff of 'Dizzy' fame grew up round these 'ere parts), recently its been famous for its non-league football team's advances in the FA Cup and its brilliant beer. 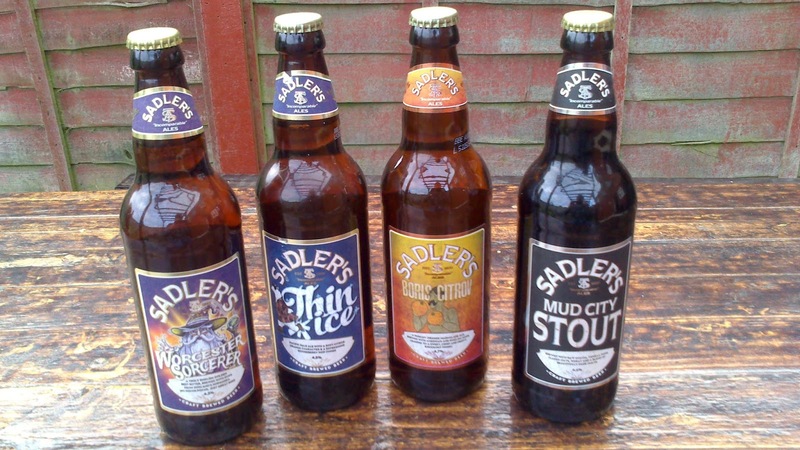 Sadler's was started in 1900 by Nathaniel Sadler and started off supplying its own pubs in and around the Black Country, creating a loyal band of Sadlers Ale's drinkers. 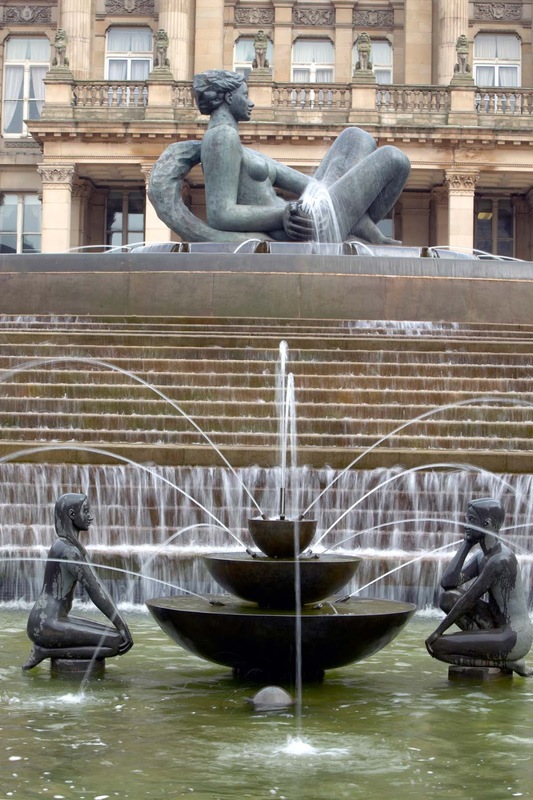 Passing through the generations and spreading its wings of productions, the supply of its ales started to coarse throughout the Midlands until 1927, when the original brewery halted production. Roll on to 2004, and the fourth and fifth generation of the Sadler family decided that the time was right to crank the mash tun up again and get brewing once more and, from the bottom of my heart, I thank them for it! They brew a core 9 beers with catchy monikers such as Mellow Yellow and Peaky Blinders, but also create 12 other monthly brews to keep the drinking audience interested & many 'one-off' pints (my personal favourite is Bottom, a lightly hopped, floral and citrus thirst-quencher which goes down a treat after hard days wine-selling). As well as the brewery, they have just opened up a 'Brewhouse & BBQ' restaurant in Southampton, so even if getting to Birmingham is a bit too much of a jaunt, a trip to Hampshire will make you feel you are drinking in a strange hybrid of a Texan meat shack and a backstreet boozer in Dudley. 'Worcester Sorcerer' 4.3% (£1.50 a bottle at Morrisons) is a bitter style ale, with a fair whack of hops jumping out of it (pun completely intended). A light malty flavour comes out too, so its great as a compliment to spicy dishes. 'Thin Ice' 4.5% (£2.95 at The Flipping Good Beer Shop and other outlets) is a very light style of Pale Ale, with gentle citrus characters of orange. A slight hoppy taste, but not too much. Summertime sipping, or just simply something to gulp away at, when at the bar or in front of the telly. Boris Citrov 4.7% (£1.25 at selected Aldi stores) is billed as a 'Marmalade Ale', and I can tell you, Trading Standards can sleep tight knowing that they are telling no lies. Lashings of orange and lemon notes run through the beer and it even has a slightly sweet finish, balanced by a slight hoppy bitterness. Can easily match with some late autumn BBQ or Chinese spare ribs. Mud City Stout 6.6% (£1.59 a bottle from Home Bargains, when bought as a case of 8) is a chocolate-y, roasted nut bombshell of a beer. So flavoursome and rich, it has a fantastic length and is truly one of the tastiest and maltiest of Stouts that I have ever tried.